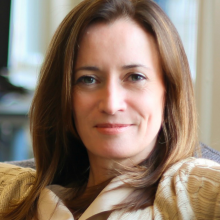 Blythe Masters is CEO of Digital Asset Holdings (Digital Asset), a New York headquartered financial technology company that builds enterprise distributed ledger software for the world’s largest financial institutions. She is also Chair of the Governing Board of the Linux Foundation’s open source Hyperledger Project, member of the International Advisory Board of Santander Group, Advisory Board Member of the U.S. Chamber of Digital Commerce, Board Member of ID2020 and co-Chair of the Board of the Global Fund for Women. Blythe was previously a senior executive at J.P. Morgan, which she left in 2014 after a career spanning 27 years and following the successful sale of the bank’s physical commodities business, which she built. She was a member of the Corporate & Investment Bank Operating Committee and the firm’s Executive Committee and held a variety of executive roles including head of Global Commodities, Head of Corporate & Investment Bank Regulatory Affairs. CFO of the Investment Bank, Head of Global Credit Portfolio and Credit Policy and Strategy and Head of ABS and Structured Credit Products. Blythe is also former Board Chair of the Global Financial Markets Association (GFMA), the Securities Industry and Financial Markets Association (SIFMA), Santander Consumer USA Holdings, Inc (NYSE: SC), and Susan G Komen Greater NYC Affiliate. Blythe received a B.A. in economics from Trinity College, Cambridge.